In order to “benefit” from the hotel status, do you have to book stays with the hotel directly? I recently got matched with the gold status with Hilton, but I booked my latest series of stays via a third party website. Typically yes. Occasionally you will find it is recognised. Sorry! I’ve found that some hotels will give benefits (but not points), e.g. the Hilton Manchester Airport always treats us really well and offers free breakfast and bottled water regardless of who the booking was made through. The Hilton Garden Inn Rome, where we are staying at Easter has also confirmed via email that 2 of us will get free breakfast. This booking was made via BA Holidays, though, there’s been a suggestion previously that such bookings attract status benefits but I haven’t seen it in writing anywhere. If it’s the HGI Claridge and it’s your first time don’t be put off by its seeming out of the way location. For the main sites get the no 3 tram heading for stza Trastevere ( going left as you exit the hotel) which stops at Colosseo for the Forum etc or the for the Vatican get the 19 going the other way. Thanks Susan, that’s the one, I picked it because we could get a family sized suite for the price of a standard room in a more central hotel! It’s also handy for the Villa Borghese and gardens. Some hotels also give points if you book through an OTA when you regularly stay on cash. Probably an under the table thing so not reliable. To be honest I find most room upgrades not worth the money. I’ve gold status at Radisson and I hardly see a diiference between the business room and a normal room. Perhaps in other Radisson hotels the differences are larger. You should breakfast for free with a business room upgrade although some hotels try to exclude this based on reader feedback. I always got it. I had one stay last year received business room upgrade and free breakfast, though this wasn’t mentioned until I asked. Radisson Business rooms are usually just a standard room with a Nespresso machine and breakfast included, maybe a higher floor or a view. Also the food and drink discount doesn’t include alcohol or room service. Slightly O/T. Has anyone else seen a downgrade to their Marriott Bonvoy status this week (more specifically ones who inherited status through the Marriott/United Airlines relationship)? I was given Marriott Platinum through the United tie-up in August/Sept 2018 and subsequently shifted a number of stays to Marriott/Starwood (45 nights in the first 6 months) but have now been downgraded to Gold as of this week. Have requested them to reconsider but interested to know if anyone else is in the same boat. Have AMEX plat and have been downgraded. Have recently taken out SPG card so don’t know if it has somehow overrided my status from the plat. I suspect that you are right to suggest that the SPG card has somehow overriden your status. I got SPG+ (not worth a lot, but still useful) with my first SPG card a couple of years ago. The plus disappeared when the merger with Marriott started, but I got it back by forwarding the original e-mail welcoming me to plus to CS. Few reports here of downgrades from Gold to Silver for Amex Plat holders. Seems like it’s for partner-earned status. @Mike – im exactly the same – for me I think it is the SPG card over riding it. However I went onto the Amex Plat and upgraded again – back up to Gold. @Ben did you do it online or through Amex CS? I have a stay in less than 2 weeks time and they are now saying it might take longer. Interestingly still Gold even though Plat is cancelled. Hoping that I can hold onto this through a holiday in June, even if the benefits are minimal. Taj have always given me (Gold via Amex Plat + Shangri-La) decent room upgrades in India. Yep. Didn’t get any upgrade at the Hilton Bankside recently, but when I stayed in the Conrad Istanbul last year, I was boosted to a high level room with executive lounge access. Really impressed. I’ve stayed at Hilton’s Bankside quite a few times and as Hilton Diamond have never been upgraded. Not that it’s a big deal – as I can use the lounge and standard rooms are very good anyway. I’d be keen to know if anyone else has ever had a status related upgrade from there? An alternative to flying Qatar to get Silver in the BAEC is to do a tier point run with BA ex EU. This will also give you the 4 BA flights at the same time. AmEx Centurion gives you Virgin Atlantic Gold status. Ex EU with BA you’re only going to get 40 or 80 points for the EU to London leg so it would need to be 3 leg journey to get close to silver (maybe south America via Miami). Depends on attitude to flights and time. Stockholm frequently a low cost option for OW (including BA) flights to USA. With planning it’s possible to do Stockholm to Helsinki for no extra cost, so you’ve ticked up 120TP by the time you arrive back at Heathrow. Finnair also use long haul planes on the HEL-LHR route at certain times. Combine this with willingness to stop on way and the USA west coast can be 880TP from a single return for about £1200 if you wait for the right time to book. If you just want silver you can still use the Helsinki shuffle to easily achieve 600TP and the 4 BA flights from one east coast USA trip. ARN-HEL-LHR-PHL/BOS/JFK/IAD-destination and reverse. My go to is position on Avios to Arlanda in the AM, start journey to HEL in the late afternoon, then onto London in the evening. Go home for the night, turn up next day for transatlantic as if starting, and only check luggage if needed at this point. In May I have a San Francsico trip earning 600 which is easier yet, INV-LHR-JFK-SFO home SFO-PHL-LHR instant silver. I’m not suggesting this is a great idea with kids, but if you have time and are relaxed about connections and airport waiting, it’s not a bad way to travel. One thing to mention with any Ex-EU is that connections are not protected across tickets, if you plan your positioning flight to arrive a couple of hours before your Ex-EU starts you’re taking a big risk. Many recommend positioning the day before, but this adds hotel costs and more time, it’s about making your own risk assessments and being prepared to suffer the consequences. UK Centurion also gives Emirates Gold (whatever that is worth!). It gave Cathay Diamond a few years ago, which was/is the equivalent of BA Gold. With hotels – Hilton Diamond, Jumeirah Gold, Radisson Gold and Shangri-La Diamond. How do you get centurion? Correct. You need to be looking at £250k+ I think. Frankly, it isn’t worth it given the stupid fee. What IS worth it is finding a friend who has it and paying them £500 (the Amex supp fee) to issue you a Centurion supplementary card. You can give them the card back or cut it up if the friend is worried. You then get Hilton Diamond etc etc. Similarly, paying a mate £170 to give you a Platinum supp on their Platinum card is an excellent deal given the benefits, including the full Priority Pass. I am surprised you don’t have one Rob? Even without potentially a high enough spend, you must be on AMEX radar as a potential? And I’m sure plenty of HFP readers would be more than willing to give you the £500 for a card! I know I would without doubt! I was offered the ICC version once, turned it down. Not worth the fee under any scenario. You also get Virgin Atlantic Flying Club Gold. The fee is supernumerary – however, in my case, it just about pays for it self. If the freebies (e.g. gift tokens – often hundreds of pounds discount, Amex offers – see recent 400GBP off travel) are useable then I definitely get my money’s worth. You’re the only person I’ve ever met with one 😂 and this ins online! Is their club in the basement still open? Many a messy night in that basement and lobby…! To qualify for benefits, you need to book at hotel/chain website directly. Sometimes, but very very very rarely, they may recognise benefits if booked through a third party. Also not a CC but GHA Platinum is available with a Business Traveller subscription – around £30- I’ve had some very nice upgrades at Kempinskis and Corinthias with this including suites. Ditto with Alila in Asia. Go on then, I’ll ask, any Hilton CC whispers? I stopped using my Hilton Barclaycard given the email they sent me a year ago saying that I would remain Hilton Gold as long as I am a “cardmember”. But it’s still nice to have! I’m intrigued to see how long it lasts for. 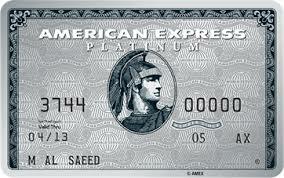 When they do get round to downgrading me it will be Amex Platinum to the rescue. Would Marriott recognise my status for an upcoming stay if booked through Amex travel? Does Fastrack to Hilton still works? To HH Gold yes, in 4 stays within 90 days I think. There are also status matches available. Yes I’m on one now to actually upgrade existing HH Gold due to expire this month to Diamond. Needs 20 nights or 10 stays in 3 months to hit target. I find maintaining hotel status whilst churning Amex Plat to be troublesome. I usually find I have to let my status get downgraded before I can ‘re-apply’ for status with a new Plat account. It depends on partner. Sometimes, some years, some of them fall away and need reapplying. Sometimes they don’t. There seems no logic behind it to be honest. I currently have Hilton Gold status which will expire March 2020. Im imminently going to upgrade to Platinum Amex from PRGC (charge card) and will also qualify for Hilton Gold via that. More than likely I will then be cancelling the Platinum Amex after 2 or 3 months. Via Amex when would my Hilton Gold status expire? Would it simply run to March 2020 matching what I already have or would it extend this date into the following year??? Thanks in advance. I have a very similar question, so any insight into this would be appreciated. Currently planning on applying for an Amex Plat in August this year (we’ve done a spreadsheet of what we’re applying for when so that we can run the numbers and fees!). This would give me Hilton Gold status. Would it only run until March 2020, or would it be March 2021? It’s a little unclear from various things I’ve read. It’s best to contact Hilton via their online help form and they will email you confirming the expiry date. You then have something in writing should anything go wrong. This is good advice, but not foolproof. I have a Diamond Card to Mar’19 and a Hilton e-mail confirming Diamond to Mar’20. Despite this Honors IT says I’m Silver and my evidence supplied to the contary has moved nothing in six weeks. The waves from Honors’ IT issues are still impacting the program and support. French? I can only find Spanish residency cards sadly. Founderscard and ASWorld have airline status as part of the benefits. Joined both but FC is best if you are based in the US and ASW has (ezpensive) paid tiers that encompass benefits that used to be part of the basic offering. If you book a Marriott stay (on Points) whilst you have no status , and then take out a Amex Platinum , upgrade to Gold , does this still work ? Or is it registerd as ‘no status’ because you had no status when you booked ? Also ,can the hotel staff see that you have no stays to get that gold status, as appose to earning it the proper way . I always feel that hotel stay would not be as kind to someone who has just taken out the right credit card to get the status ? You’ll get the benefits on the stay. Hotel staff can see your points and I think your stays in the year to date. I don’t think they see how you got the status. Hilton don’t seem to treat you any differently according to how you earned your status – so very good in the UK and Europe and pretty much “meh” in the US!